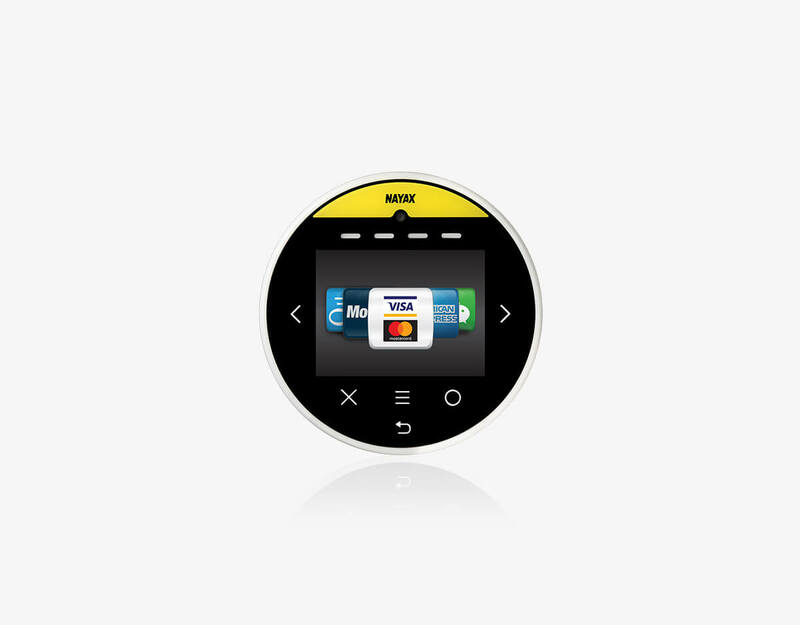 VPOS Touch is Nayax’s all-in-one solution for cashless payments and integrated telemetry. Now create marketing and sales opportunities that can bring great consumer engagement for improved upsale and increased revenue. Consumers can experience the personal touch of their neighborhood store combined, with the convenience of a 24/7 unattended, automated operation. Consumers want to use their debit card at a vending machine or pay with their mobile phone at the car wash. The VPOS Touch offers an attractive looking unit with a high-resolution color touchscreen, to engage consumers. The screen features gorilla glass, which is sturdy and safeguards the device from vandalism. Seamlessly integrated with telemetry, cashless clearance, monitoring, management and BI. VPOS Touch monitors machines in real-time with continuously updated information on all aspects of operation including inventory, cash monitoring, alerts and reports. VPOS Touch is easy to install and can be retrofitted on any vending machine or other unattended machine. All software updates happen remotely, minimizing the effort required to maintain the units. The hardware is durable and highly secured to prevent vandalism. The VPOS Touch is more than a touchscreen with words and images. It also features voice capabilities with voice interactions in local languages. Additionally, the unit can display two languages. The device also features a built-in code scanner, complete with QR code scanning capabilities. This secures your business’ future in the cashless payment world. With both static and dynamic QR codes and barcodes (i.e. social payments such as Alipay and WeChatPay), your operations are further opened up to more markets. Whether the wi-fi or cellular network is stronger wherever your machines are located, machines can be monitored, with transactions and data always being transmitted in real time. With the inclusion of LTE and 4G your business is always protected, allowing operators to maintain a continuous connection to their machines, regarding all aspects of their operations. Not everyone carries cash and Nayax makes every effort to ensure you don’t miss out on a sale with its cashless payments card reader. The VPOS Touch offers contactless payment solutions and accepts every payment method on the market so that no potential consumer is turned away. This cashless payment card reader is suitable for multiple applications and markets. All sorts of businesses with unattended automatic machines can benefit from installing a VPOS Touch such as laundromats, public restrooms, car washes or kiddie and amusement rides. Other markets that use the VPOS Touch include office coffee machines, photo booths, kiosks, donation machines, electric vehicle charging stations, transportation tickets, massage chairs, prize machines and printers & photocopiers. VPOS Touch can enable operators to communicate with their consumers more directly and nurture loyalty by taking advantage of Management Suite’s built-in marketing tools. Run campaigns like digital punch cards, discounts, sales and happy hours, providing your consumer a richer sales experience. Use the color touchscreen’s idle mode to advertise the many campaigns you can promote.